The US Secretary of Homeland Security Kirstjen Nielsen, who enforced some of President Donald Trump's controversial border policies, has resigned. Customs and Border Protection Commissioner Kevin McAleenan will replace her temporarily, Mr Trump said. Her resignation came after the president indicated he wanted to follow a "tougher" immigration policy. He has often accused Ms Nielsen of not being tough enough. In recent months, illegal crossings from Central America have surged and Mr Trump has threatened to close the Mexico border. The New York Times reported that Ms Nielsen went into a meeting with Mr Trump on Sunday to plan "a way forward" with the border situation. 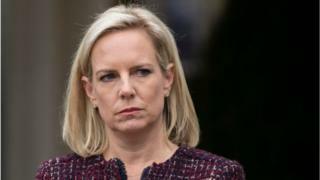 Ms Nielsen first joined Mr Trump's administration in January 2017 as an assistant to the former Homeland Security chief John Kelly. She became Mr Kelly's deputy when he moved to become White House chief of staff, but returned to lead her former department later that year. But she brushed off the demonstration, tweeting that she would "work tirelessly" to fix the "broken immigration system". A sign of tougher border policy? What seems clear, however, is that there are conflicts taking place behind the scenes in the White House - conflicts accompanying the president's increasingly belligerent rhetoric on immigration. Just two days ago, Mr Trump rescinded his nomination of Ronald Vitiello to head Immigration and Customs Enforcement because, he said, he wanted to go in a "tougher direction". Now his homeland security secretary - whom he had in the past viewed as not aggressive enough - is out. Ms Nielsen's name will forever be associated with the Trump administration's family separation border policy that led to massive bipartisan outcry last year. 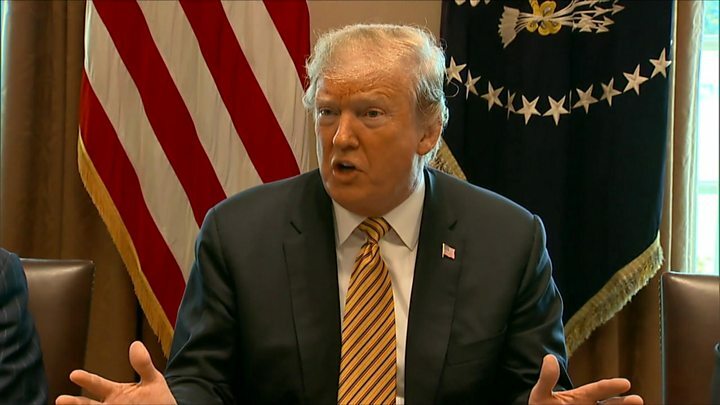 The president eventually backed down from that fight, but these latest moves suggest a more confrontational approach to border security is all but assured. Bennie Thompson, Mississippi congressman and Chair of the Committee on Homeland Security, said Ms Nielsen's tenure was "a disaster from the start", while Massachusetts Senator Ed Markey calling the move "long overdue". However, he said the fight is "far from over to ensure Trump's assault on our immigrant community comes to an end". But Republican Senator Lindsey Graham praised Ms Nielsen, saying she "did her best to deal with a broken immigration system and broken Congress". And Texas congressman Michael McCaul said she was "a principled voice" who "wholly understands the threats we face". Mr McAleenan, 47, was confirmed as the nation's top border protection officer in 2018 with bipartisan support. He previously served as Customs and Border Protection (CBP)'s deputy commissioner under the Obama administration. In 2015, Mr McAleenan received the highest civil service award from then-President Barack Obama. 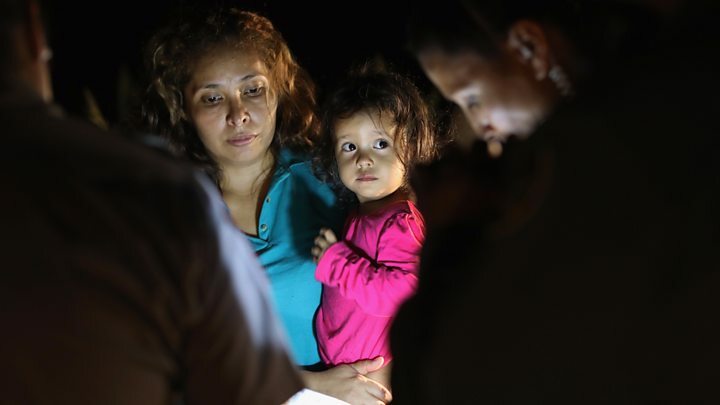 Last year, he faced criticism in the media for carrying out Mr Trump's zero tolerance policy that led to the family separation crisis, but he has maintained his agency's duty is to carry out the laws, not create them. Mr McAleenan is married to Corina McAleenan, an El Salvadoran immigrant, according to the Times, who worked for several years with the US Secret Service. He is a graduate of Amherst College - where his honours thesis was on marriage equality, the New York Times reported - and he helped develop antiterrorism border security strategies after the 9/11 attacks. Mr McAleenan received a law degree from the University of Chicago and worked in California before CBP.